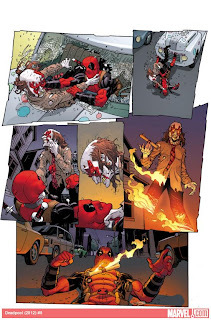 Mike Hawthorne: More Deadpool #8 sneak peeks! Parts 2 and 3 of the Gerry Duggan and Brian Posehn Deadpool interview are up, with more preview art! I just found your blog. Just wanted to tell you that I loved your work in Queen & Country.